The kitchen is the hub of life for many homeowners, including the aspiring chefs and eager hosts. However, renovating or remodeling it from scratch with a strict budget and no ideas to get the ball rolling can be a pretty daunting task. But when you work with a professional kitchen remodeling service, the results can pay off in the end, especially if you ever plan on reselling your home. Fiberpol provides the best opportunity for making the most out of your kitchen remodel in Barbados, no matter how big or small your space is. Wondering how you can transform your kitchen? 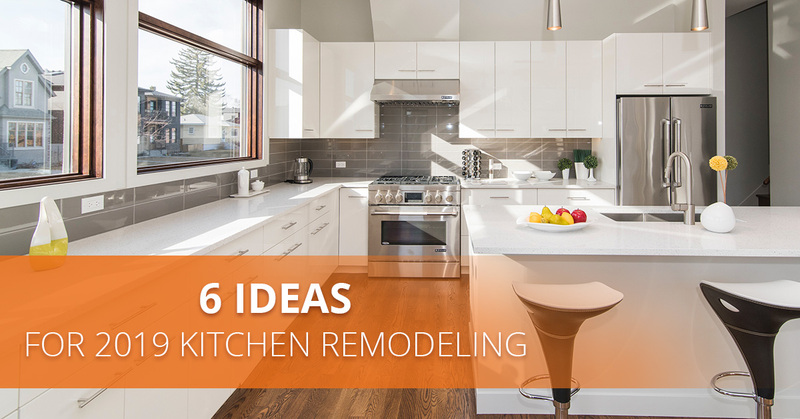 Below, we put together some great ideas for kitchen renovations in 2019. If you plan on installing new kitchen countertops, you should consider the countertop materials thoroughly. Over time, countertops become worn more than any other surface in the kitchen. When choosing countertops, put extra attention to each material’s resilience, especially to stains. You’ll want to choose countertops that are easy to maintain, will last, and are durable enough to prepare food on. Decoran solid surface, granite, and engineered quartz countertops are known to be sturdy, easy to clean, and to have a good stain resistance. To compare countertop materials using our countertop comparison chart, click here. Adding storage or starting over from scratch and installing new kitchen cabinets and pantries is something that many choose to include in their kitchen remodeling project. There are plenty of kitchen cabinet options to choose from, frameless kitchen cabinets, open-faced cabinets — the list goes on! If you have the available space, adding an island during a kitchen renovation is a great way to transform your kitchen into a significant multipurpose area with multiple functions. Kitchen islands provide additional storage options, create another platform for food preparation, and can be used as an additional dining area by adding some chairs. Kitchen islands are the optimal utility by effortlessly combining functionality and fabulous display. A kitchen remodel is not only about getting new appliances and rearranging kitchen cabinets — the backsplash is something that can also be worked on. A backsplash is the material that is used to cover the area of wall between the countertop and the upper cabinets. They create an opportunity for homeowners to express themselves through a variety of materials, textures, and colors. If you are considering a kitchen renovation, one of the things you may be interested in upgrading is the sink. Changing up your kitchen sink and faucet can be an easy way to add some trendy design to your space, and you will most likely be surprised by how much of an impact they have on the overall look of the room. Color evokes inspiration in people. Studies have proven that the color of a room can greatly affect our moods and emotions. The kitchen is where you prepare delicious meals for your family and the color you choose should conjure joyous enthusiasm, at the least. Choose colors that reflect your style and preferences, and ones that blend into an appealing combination. Don’t oversaturate the space. Emphasize the kitchen with shades of your color of choice to contrast it smoothly with the rest of your home. Before you start your kitchen renovation, begin with the end in mind. Think about long-term plans and what you want most out of your kitchen. Remember, working with a kitchen remodeling company can make renovating your space much easier. 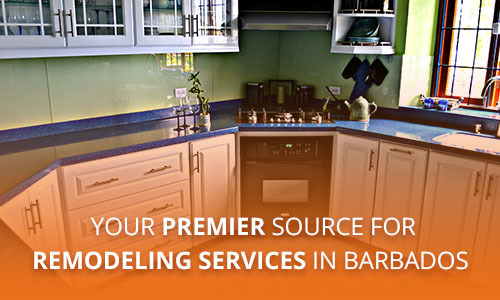 When planning Barbados kitchen remodeling, contact the experts at Fiberpol! We can help you create the kitchen of your dreams! Check out our different types of kitchens to learn what we can do for you.